InstaLinen.com sent me a few free samples of their fabrics in-exchange for an honest review. I'm always looking for new places to buy quality fabric, so I thought this might be interesting. In the meantime, if any of you have ideas for what I could create with these samples, leave me a comment. My brain is kinda fried getting ready for our house renovation. 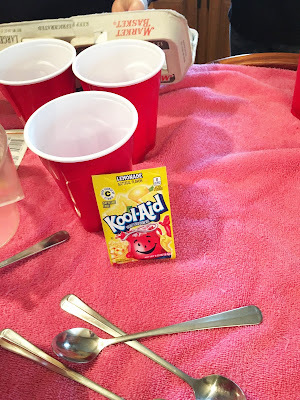 I have been seeing Kool-Aid Dyed Easter Eggs all over Pinterest for the past month. 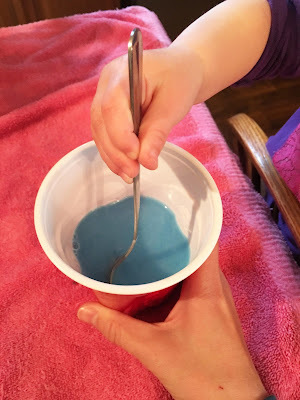 Since I have two little ones and last year when we dyed eggs with food coloring our hands were dyed for many days, I thought this would be worth a try. 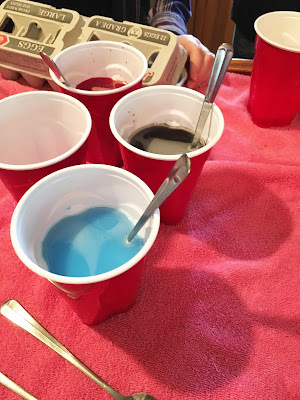 This was a very inexpensive way to dye eggs as well. The packets cost me 3/$1 and you do not have to use vinegar just water. I gathered my supplies and my Mom hard boiled the eggs, we were ready to go. 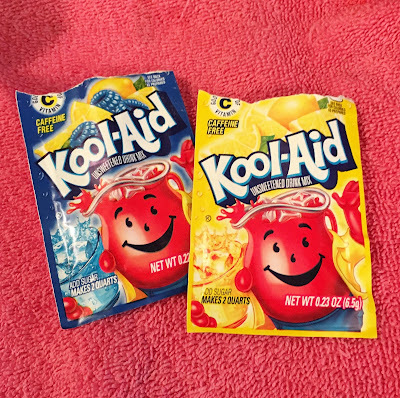 We decided to try yellow (lemonade), red (cherry), blue (raspberry lemonade), purple (grape), orange (orange) and green (a mix of the yellow and blue). The only one we were a little bit disappointed by was the purple, it looked more like black than purple. The experimental green one even turned out pretty. 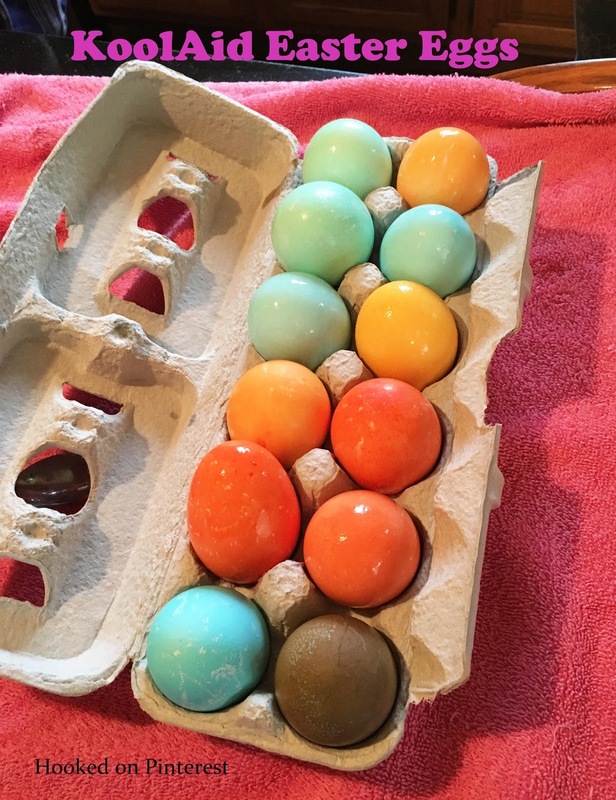 My 4 year old was really into it and my almost 2 year old had fun doing this too, she just had a hard time waiting for the eggs to soak. 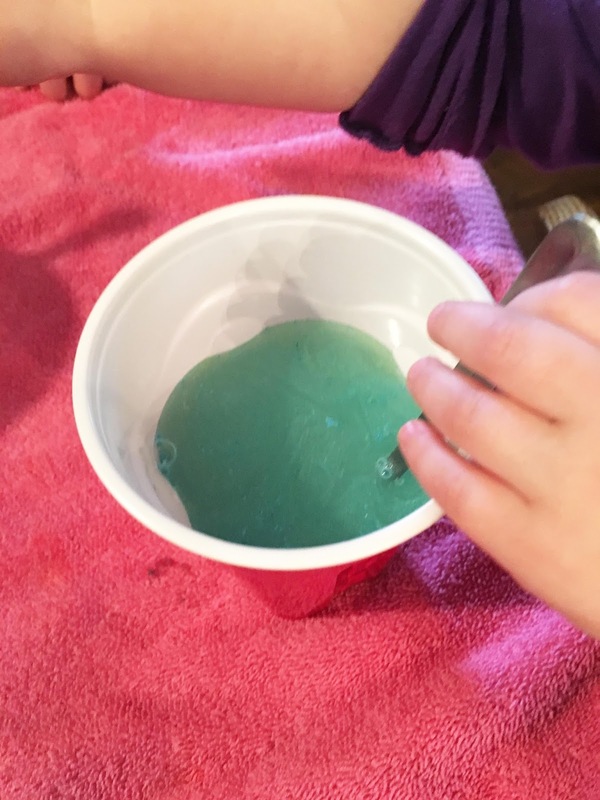 The only one who got anything on their hands was my 4 year old and it came off very easily with soap and water. I think that this is going to be our new way of dying eggs in the future, or at least until my daughters are old enough to care about getting dye on their hands. I got another great opportunity to test out a product for a very deep discount in exchange for an honest review on my site. This product is more geared toward those of my readers who have kids. The Angel Baby Car Seat Travel Bag is lightweight, durable and very easy to use. The travel bag was delivered in excellent condition in a neat and compact package. The bag is contained for storing when not in use, in a small zippered bag that is attached to the travel bag it's self so that you can not lose it. This is great because with all the things that my kids have I would be sure to lose this tiny bag. I was pleasantly surprised to see how large the travel bag was when you unfolded it from the small storage bag. The travel bag easily fit our rear-facing car seat. We could also fit our older daughters booster seat with the rear-facing seat. There is a very convenient hand strap that is very easy to use for loading and unloading the bag in the airport. The bag also has a shoulder strap for carrying through the airport and to the rental car place. This was the only area that I thought might need some improvement. The strap does not have any padding so we could see after a while that it would start to dig into your shoulder. When I went to put the travel bag back in it's small storage bag. My first thought was that this is going to be a task, but I was wrong, it folded up easily and fit nicely in the storage bag. I did receive this product at a very deep discount. All opinions are 100% my own. Below is a link if you are interested in purchasing this product from Amazon, I receive a referral fee from purchases made through this link. Thank you. A few months ago I received a book for free from Goodreads.com Giveaways, in return for an honest review on their site. I loved this book so much that I decided to write about it here. The book is 'The Complete Book of Chalk Lettering - Create & Develop Your Own Style' by Valerie McKeehan. What I really loved about this book was not only did she tell you all the items you would need to be successful, she also provided actual chalkboards and very detailed step-by-step photos. Part of the process that she explained for better looking chalk lettering is to season the chalkboard, this I had never heard of before, but was very simple to do. First you rub the chalk all over the chalkboard covering every inch with chalk. Then you wipe away with a chalk eraser or a dry clean paper towel or rag. Now you are ready to create. I decided to test it out first by writing my name in chalk, this gave me a good understanding of how hard I had to lean on the chalk to make it work. While my younger daughter was taking her nap, my older daughter and myself decided to try designing hanging chalkboards that I had picked up from Target for a dollar each. I also got the chalk from Target for a dollar, so this was a very inexpensive craft. We seasoned our chalkboard and were ready to try some of the designs that Valerie had in her book. I choose one of her flower designs and a snowflake design. These were relatively easy and with a little bit more practice I think I could get pretty good at creating these designs and more. I added Happy Easter and an Easter egg of my own design. My daughter made her own Easter design with a snowflake and Easter Egg. One of the great things about working with chalk is if you mess up you can just wipe it away and start over. I think we will have this book for a very long time and will use it again and again. If you are interested in this book here is a link to it on Amazon. I do receive referral fee for anything bought through this link.